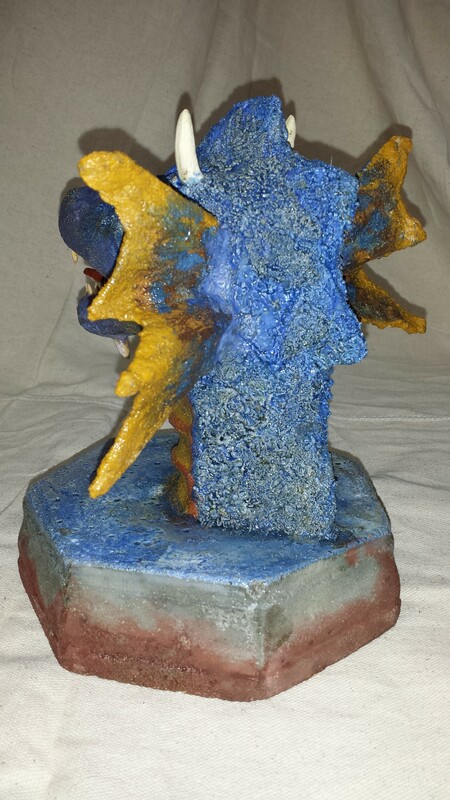 This blue and orange dragon head sitting on a pedestal is about 91/2 inches tall. 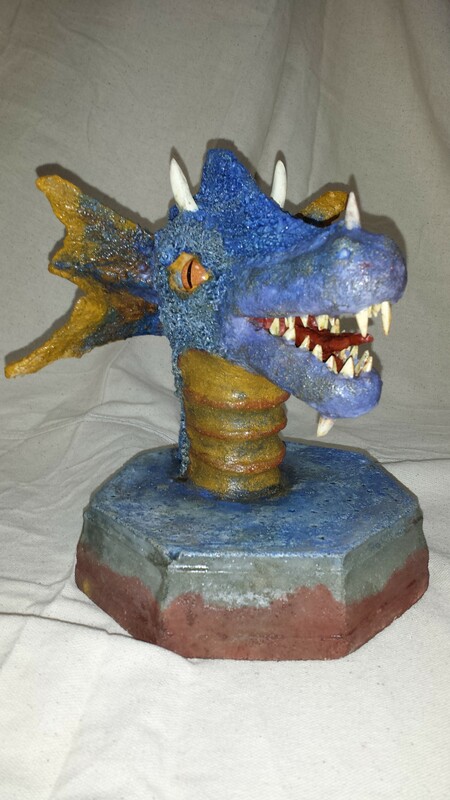 With his forked tongue, razor sharp teeth, and intense bright orange eyes, it makes him a very detailed dragon. 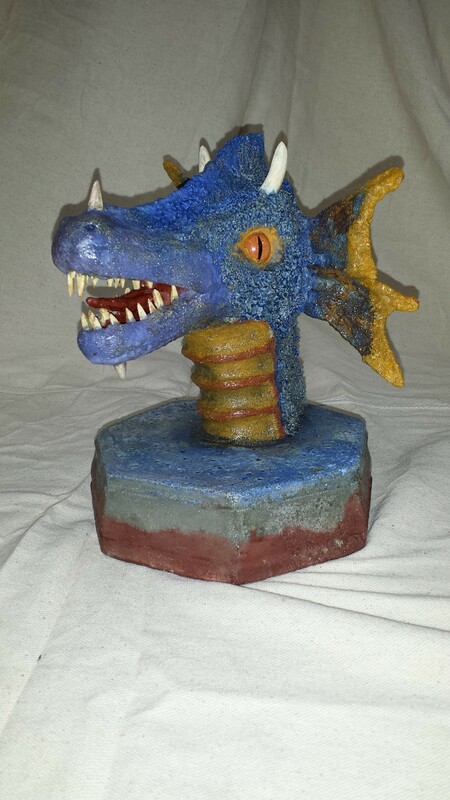 This dragon is hand sculpted with wire mesh and concrete. All together it took 80 hours.